I am a fan of most of the big trilogies. Back to the Future, Star Wars, Indiana Jones and even The Matrix, have all managed to hook me in but Lord of the Rings never really managed to fire my imagination in the same way. It can’t be because of the fantasy element because I’m as obsessed with Game of Thrones as anyone else is and genuinely believe that adding a dragon to anything improves it by at least ten percent. I’m more inclined to believe it is because of the complicated and often quite alienating element that Lord of the Rings presents. It’s very nature, from the moment it begins, is an unravelling, deep and overwhelming host of exposition that is needed to set the basic premise before the wizard reaches the small Hobbit town. This doesn’t immediately put me off at all and if anything, it gets me interested, but this is the tip of a huge iceberg which begins to lose me by the end of the first movie – let alone the huge sprawling trilogy that now has an accompanying set of the movies to go with it. So many characters… so many pointless stories and scenes. By the end of the first movie we have been introduced to at least seven “main characters” from very various species, tribes or groups, who each have their own respective back stories and gripes. So that everyone gets their fair share of screen time we get scenes that ultimately feel superfluous to the main story – anything involving Sean Bean being the perfect example. Which leaves us with that main story. The huge, sprawling and epic story of The One Ring and it’s journey to Mordor. What the Fellowship of the Ring feels like, when you have sat through the three-hour running time, is the prelude to a story. It feels like the extended exposition to what the real story is. The Fellowship of the Ring is the pre-journey. This leaves me feeling cheated – no real progress or actual story feels like it has been told by the time we reach the end of the first movie. Although this prelude, non-story is delivered in an amazing package and is nothing less than interesting the whole way through. The world that Peter Jackson builds is amazing. It never feels anything less than a fantasy world. The Shire balances precariously on the line between real and fantastical. The blizzard hit mountains offer an incredible comparison with calm, glistening land of the Elves. Add to this incredible world a great, perfectly chosen cast. Elijah Woods is the perfect kind of hero – not tall, powerful, strong or aggressive but full of the best quality a hero can have: courage. Woods delivers this in spades. Add to that the comedy element delivered by the other Hobbits and you have the perfect central focus for most of the movie’s running time. The more warrior based characters are ably cast too – with Sean Bean and Viggo Mortensen stealing it for me. Nobody is cast better than Ian McKellen though, who just oozes the right kind of calm but commanding presence that you imagine a wizard of the world would. Add to this support from Hugo Weaving, Liv Tyler and Cate Blanchett and you have a movie that is clearly well-respected and loved by a huge host of people. This is of course Fellowship’s biggest strength and flaw; it is made by a fan for the fans. A lot of The Fellowship of the Ring is unnecessary and padding to give the most complete and perfect version of the epic story. From the long, extended party sequence, to the meetings and interactions with the Elves, there is plenty that is foretelling rather than just getting on with telling the story. None of this would be a problem, especially because it is delivered so brilliantly, if it wasn’t for the fact there was two more movies that actual feel like they tell the story properly. 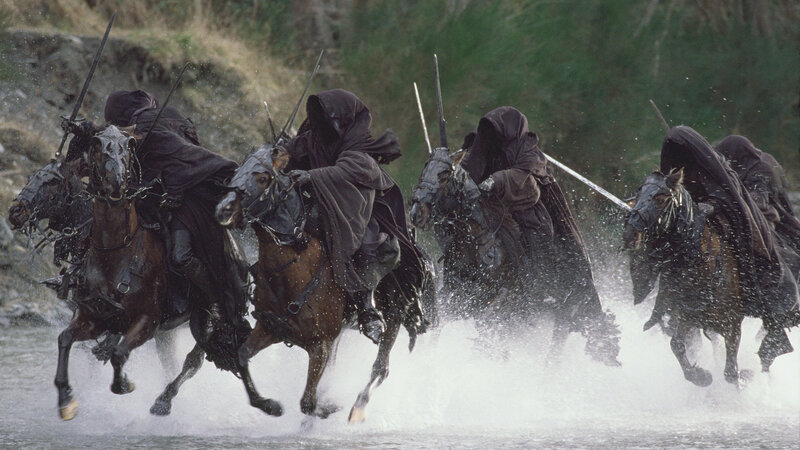 Overall, Lord of the Rings: The Fellowship of the Ring feels slightly pointless. While watching the movie you get an exciting, well-acted and beautifully realised version of a fantastic fantasy world, full of creatures, set-pieces and moments that will always be memorable and set a high benchmark. 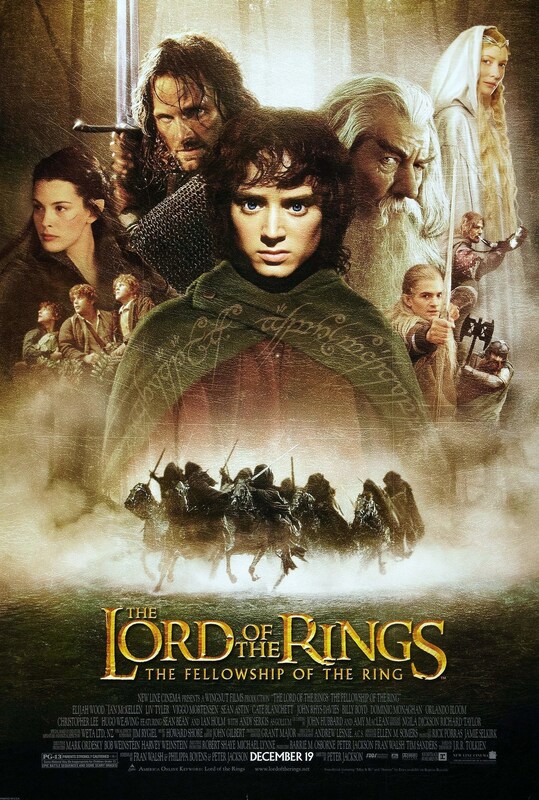 Unfortunately, after three hours of watching, you realise that this is a prelude to the actual story and no progress on the epic journey feels like it has actually been made. A great epic but is it really necessary? I like these films, but I can’t say that I love them. I’d rate this higher than you, but I still agree with much of what you say. Long, but at least it’s setting something up. Something epic, I may add. Nice review. Previous Previous post: 2015 – The Year of the Spy movie!